Who is your favorito pup? Zuma: we were talking about how she missed you when you go out on patrol, and a furgão, van pulled up and the door opened. then she was pulled in! Zuma: I saw it said foggybottom falls. Many years ago, the cat army took out humans but not dogs. As the only pups that can save the planet, paw patrol was made into a halo team to stop the gatos from taking over. 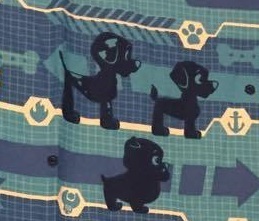 One dia in adventure bay, the PAW patrol pups were playing hide n' seek. "If I was hiding, where would i hide," asked Zuma, who was it. He looks behind every árvore he could find. He then sees a leaf fall on his nose. a pop quiz question foi adicionado: Who is the first pup to repeat an Ultimate Rescue? a pop quiz question foi adicionado: Who's the team leader in "Ultimate Rescue: Pups Save a Runaway Stargazer"? a pop quiz question foi adicionado: Who's the team leader in "Ultimate Rescue: Pups and the Hidden Golden Bones"? Which characters are here drawn dark?